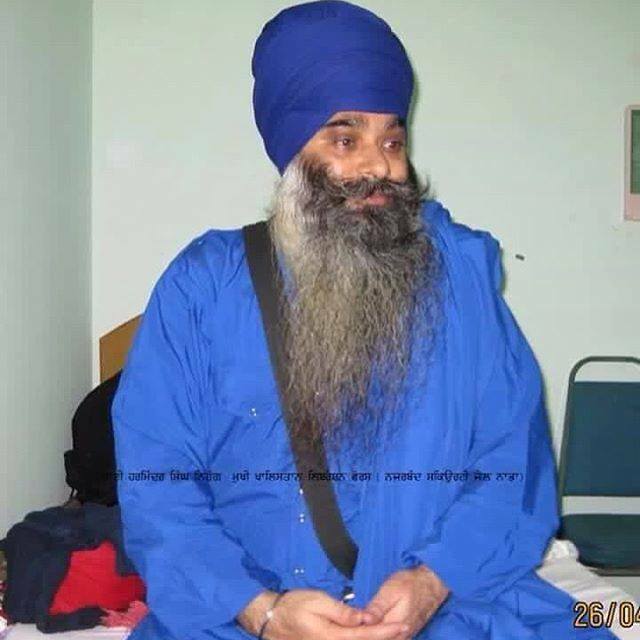 Home/Sikh News/Bhai Harminder Singh Nihang has Been Arrested from Haryana Delhi border by Police. Parminder Singh was arrested yesterday in UP and news has broke on social media of Harminder Singh Nihang being arrested in Delhi. Five other escapees are missing and still on the loose. Freed during the Nabha jailbreak, Khalistan Liberation Force (KLF) chief Harminder Singh Mintoo had 12 cases registered against him across Punjab. While he had secured bail in two of these cases, police had asked the court to discharge him in a third case. According to his lawyer, Jaspal Singh Manjhpur, Mintoo was not accused of “direct involvement” in any of the cases. Further, most of the planned acts involving him were foiled by police in advance.Manjhpur added that there was no need for his client to escape as he could have been legally released soon. “The cases against him were very weak and in most of the cases he is described as the main conspirator. He has not been accused of direct involvement in any alleged militant activity. There was no attempt to murder or murder charge against him. Though he has been implicated in false cases, even then he wouldn’t have been sentenced for more than three years in any of the cases. He had already spent more than two years in jail and the chances were high of getting him out on bail in the other cases,” said Manjhpur.After his arrest from Delhi airport in 2014, Jalandhar Rural police, while seeking his custody had told the court that he was “trained” for six to seven months by the ISI at a “camp” organised in Thailand. Mintoo, whose family runs a business in Goa, is believed to have fled to Thailand after he was named as an accused in a case of seizure of 24.5 kg explosive material and 25 detonators in Ludhiana in 2008. A native of Dalli village in Jalandhar district, Mintoo remained on the run until 2014, when he was arrested on his return from Thailand. According to villagers, he had visited Dalli last in 2004. “Mintoo’s family had shifted from the village over two decades back and some of his family members are settled in Goa and have no link with anyone back home,” said a distant relative. His next court appearance was scheduled for Monday. “I am surprised at the news of his escape… If he had to run, he had better opportunity when he was admitted in Patiala for his heart condition,” said Manjhpur.